Email still matters—especially for businesses. With the ubiquity of smartphones, most people check their email multiple times per day, even when they’re away from home or the office. That makes email a great way to catch people’s attention and promote your business and brand—but it must be done effectively. At Brad Hart Creative Group, we think it’s important for our clients to understand the effectiveness of email marketing and to remember that we utilize it as an invaluable part of our multi-pronged offering of digital marketing services. 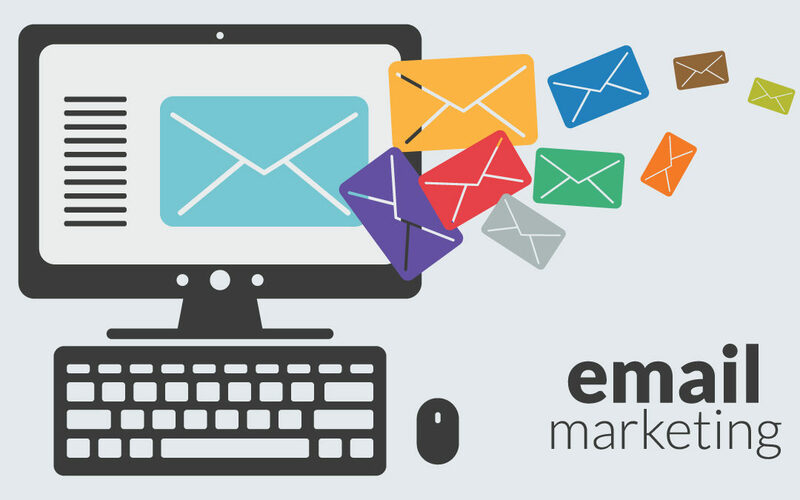 As with everything we do, we stay on top of the latest and greatest methods and strategies for making email marketing campaigns as effective as possible for businesses. There’s a fine line between campaigns that convert and campaigns that are either ineffective or even detrimental to brands, and our years of experience and research means we know how to achieve that balance. Email marketing helps to build your brand and your credibility. A well-crafted email that contains helpful and relevant information for your current clients and potential clients is one of the most effective ways of building your credibility and increasing trust. If you’ve ever been enticed into making a purchase due to a well-timed email, you’re proof that email marketing works. Our email team understands why email campaigns work, and our research and years of data and experience means we can answer the three most important questions for effective email campaigns: what’s the right offer, who is the right audience, and when is the right time to reach out to them? Email marketing increases loyalty and strengthens relationships. With so many things competing for people’s attention, it’s more important than ever to stay top-of-mind. And while bombarding clients and potential clients with emails is a surefire way for them to check the “unsubscribe box,” well-timed emails serve to create relationships that are based on loyalty. And happy, loyal clients are more likely to generate referrals, which is the life blood of any small business. Want to know More? Contact Brad Hart Creative Group Today. If you’re looking to set up an email marketing campaign for your business, don’t hesitate to reach out to us. Contact us today and let us help you get to the next level.